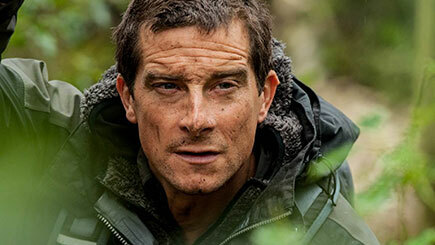 Bear Grylls is the ultimate survivor, as proven on his popular TV shows 'Man vs. Wild', 'Running Wild' and 'The Island'. Test strength and courage on this extreme four day survival skills course. Run by highly trained instructors, each hand-picked by Bear and his team, learn survival techniques such as knife use, knots and improvised harnesses, navigation, improvised First Aid, practical use of snares and traps, purifying water, foraging, skinning and gutting wild food, self defence and primal instinct training. Endure the final training stage at Commando Gorge, where the Royal Marines carry out their gruelling exercises. The three days culminate with a 24 hour challenge where you must survive on the moor as a team. Who will have what it takes? Courses run at least once a month from April to October. Arrive at the course location meeting point on day one and depart four days later. On completion of the course, receive the coveted Bear Grylls Survival Academy badge and completion certificate.